From 1st February 2006, all those applying in Germany for a British visa will only be able to apply using an online application system. The online system is already available and has been used by many applicants, but from 1 February all applications must be made using this procedure. Once you have completed the application form you will have the choice of either making an appointment or submitting your application by post or via a courier company. Please note that after 1 February 2006 we will not accept public callers without an appointment. Appointments can be made online on the Embassy website. The step-by-step online process helps guide you through questions and answers ending with a completed e-application to print and submit. An immediate e-mail acknowledgement and reference number is generated. The e-application system uses an encryption programme to ensure the secure transmission of your personal information. You receive automatic e-mail notifications during various stages of the e-application system. From 1 February 2006 you must complete an application form on-line in order to access a link to the appointments site. You then print this and bring it with the documentation listed within the "required documents" page of the website. You may also send it by post, or through a courier company (details of companies are on the website) with the documents listed on the "required documents" page. Please ensure that you provide the correct visa fees. 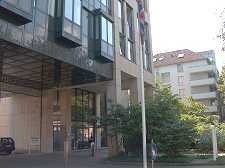 13.10.2005 - The British Consulate-General (left) in Hamburg closed in September 2006. A very sad day for Anglo-German relations. Hamburg was not amused, Local companies may lose interest, allowing the Chinese to take over. Story one and story two - see links on these pages for more. 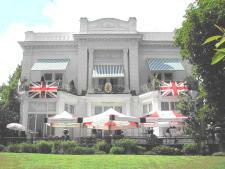 Inside the former British Consulate-General - scroll down to 50th Anniversary photo link in the HAMBURG GALLERY. 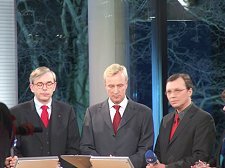 13.10.2005 - Hamburg Mayor Ole von Beust, respects decision, despite all his efforts being in vain. The Mayor had tried everything including a major cost cutting special offer. Ambassador suggests that a representitive covering Hamburg from Berlin will be enough. But who here believes that? Click here for all Consulate Abendblatt stories over a longer period. 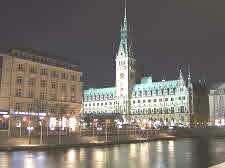 Photo ©: Hamburg English Pages in CCH. Penalties for drink driving in the UK include an automatic driving ban of at least 12 months, the risk of a £5,000 fine, six months in prison and a criminal record for at least 20 years if convicted. The Home Office (click for website) holds primary responsibility for counter-terrorism within the UK. The section on this website, link above, provides information for the public on the threat from international terrorism, what you can do to prepare for a major emergency and what the Government is doing to protect, prevent and prepare for terrorist attacks. Did you know? 60% of the World's books on tax are about the German tax system! Maybe one third of all German civil servants could lose jobs, if the system (in general) was as easy to understand and work with, as in some other lands... Hopefully, the tax reforms will be coming soon and with it the courage to start a small company, among other things... The current system is programmed to generate problems, mistakes and mistrust. Mistakes lead to fines! The system creates the problem and fines you for not understandng it - logical really! The euro (€), the new single European currency, became the official currency of Germany and 11 other participating countries on January 1, 1999. However, the Euro didn't go into general circulation until early in 2002. The old currency, the German mark, disappeared into history on March 1, 2002, replaced by the Euro, whose official abbreviation is "EUR." Exchange rates of participating countries are locked into a common currency fluctuating against the £ and the $. For more details on the euro, visit: www.europa.eu.int/euro. Most widely accepted travellers cheques/checks are American Express, Thomas Cook and Barclays. Credit cards are not always accepted outside of major cities. A transfer is called an Überweisung. You can establish a Dauerauftrag that transfers the money for you automatically. When you establish your account at one of the local banks, they will explain the ins and outs to you. Do I need to know German? What about insurance? Do I need a work permit in Germany? How do I find an apartment? How much money do I need for my studies? Which authorities do I need to know about? Which documents do I need? How safe am I in Germany? I would like to make you aware of a new regulation in Hamburg simplifying the recognition of US drivers licenses. For those who live and work in Hamburg, have held a US drivers license for at least five years, and have not recently been involved in a traffic accident, the procedure in Hamburg for obtaining a German drivers license has now been radically simplified. Under these conditions, US drivers license holders can now apply for an automatic conversion of their US drivers license into a German license. This is valid for all license holders regardless of which US state they are from. In addition, applicants are exempt from taking any practical and/or written tests. The necessary application forms can be found at the "Landesbetrieb für Verkehr" in Hamburg. With this new regulation, the Free and Hanseatic City of Hamburg has become the first German state to depart from the principle of reciprocity in recognizing US drivers licenses. For American employees in all other German states, a US drivers license can only be converted into a German drivers license under a number of complicated conditions (see the AmCham Homepage "Info Center" for more information: www.amcham.de. AmCham Germany applauds Hamburg's new regulation and views it as a dynamic symbol for the City's and the Hamburg Senate's proven commitment to roll back bureaucracy and enhance conditions for investors. We encourage other German states as well as the German Federal Government to follow this example and radically simplify the procedure for converting US drivers licenses nationwide and take additional bold steps in improving business conditions for foreign and domestic-based businesses alike. The information above can be found in greater detail in the attached press releases (in German). In addition, I am more than happy to assist you, if you need further information. Hours: The Consular Section is open from 9:00 am to 12:00 noon, Monday through Friday. 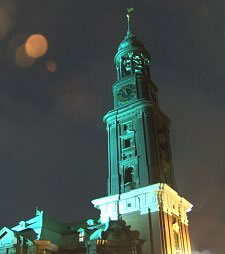 You might like to visit www.hambourg.de for information in French. By selecting this link you are leaving the H E P website. Our links policy can be found on the Homepage under About Us. 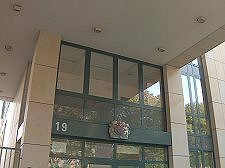 The Consulate-General has now been forced to close for reasons the Ambassador decided not to mention in his speech on the 12th September 2006. After his speech he left the Consulate shortly afterwards, more than likely due to the cold reaction to his prescence and in case he had to answer any difficult questions - who knows? The former British Consulate-General Hamburg, above. The former Consulate can be seen inside and out in the Hamburg Gallery. Douglas McAdams, the then Consul-General, gave us permission to take photos during the 50th Anniversary of the building as a Consulate. More photos, taken during the closure gathering on 12th September 2006, will be added at a later date if space permits. Passport and central commercial section (UK Trade & Investment) is based here, among many other services. The US Senate has endorsed a one-year extension to the requirement for travellers under the Visa Waiver Programme to hold biometric passports. The Foreign and Commonwealth Office and UK Passport Service (UKPS) welcome this decision, which will now enable British travellers with valid machine-readable passports issued before the new deadline to travel to the US under the Visa Waiver Programme up to, and beyond, October 2005. The United States Government has announced that, with effect from 1st October 2003, all citizens - including children - of countries eligible for the US Visa Waiver Program (VWP) wishing to enter the U.S. without a visa must present a machine-readable passport (MRP). VWP (this includes British) nationals who do not have MRPs will need to obtain a US non-immigrant visa. NB: British Passports issued during the last 10 years at the United Kingdom Passport Agency (UKPA) and the British Consulate General at Düsseldorf are machine readable. 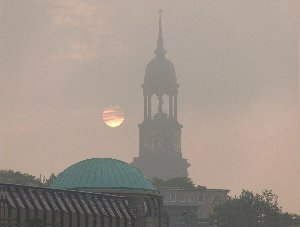 Ab dem 01.10.2003 ist die visafreie Einreise für touristische Aufenthalte in die Vereinigten Staaten nur noch mit maschinenlesbarem Pass möglich. Reisende - auch Kinder - mit dem Ziel USA müssen ein Touristenvisa beantragen, wenn sie keinen maschinenlesbaren Pass besitzen. NB. Britische Pässe, die in den letzten 10 Jahren von der United Kingdom Passport Agency (UKPA) und dem Britischen Generalkonsulat in Düsseldorf ausgestellt wurden, sind maschinenlesbar. This link appears to cover all questions, including the fee based on your earnings! Cathrene kindly sent us her experiences leading up to her marriage in 2005 (English person to a German person). Sent in the first half of 2005. The wedding is on the 1st and 2nd September 2005.
forms at the Standesamt in Barmbek. require an "Apostille" for my birth certificate. 16 weeks before the wedding, I am in a right panic!!! Forms to fill out - "The Never Ending Story"
Tips: Read the notes section of passport applications very carefully, when applying for passports. 2 photos usually needed with white background. If you have white hair, call your passport office for advice. This has reportedly been a problem when applying for German passports!